We know that teaching isn’t an easy job, and we also know it can be made a little bit harder when a classroom is small and there isn’t enough space for everything. The room that a child is in can greatly affect how they behave and their productivity, making it even more important to have a fresh, clean environment that everyone can enjoy. A big part of creating a good environment for learning comes down to storage and organisation. Keeping everything tidy is essential for decluttering a small area, especially when it comes to books. 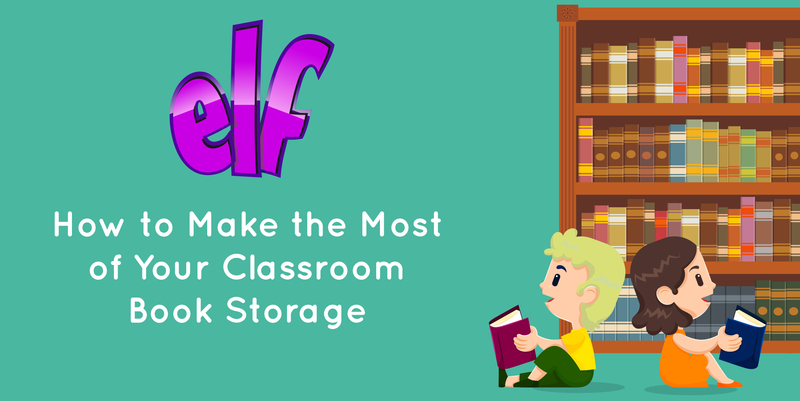 Classrooms are full of books that need storing away. Luckily, we have a comprehensive range of book storage that is not only functional, but that is cost-effective and nice to look at too. 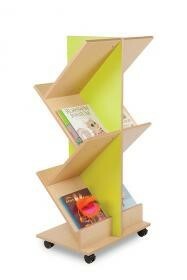 If you’re looking for a mobile book storage option, our School Library Book Trolley is an excellent option. 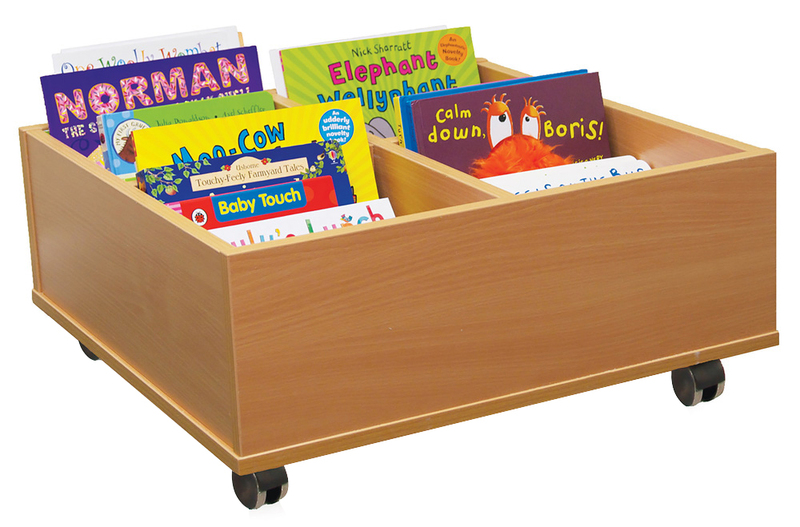 It is our entry-level book storage trolley, and its low price tag – paired with exceptional quality – makes it one of our bestselling solutions. The neutral beech finish is perfect for every classroom. The easy glide castor wheels make moving the trolley effortless, and with three shelves, you can neatly store plenty of books easily and quickly. 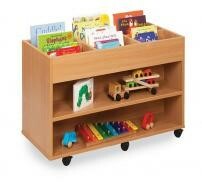 We also offer a Mobile Kinderbox which is again a best-selling, entry level storage solution. The beech finish will blend in with any classroom. You can choose from either four bays or six bays depending on how much storage you need, whilst the castor wheels enable you to move your kinderbox with ease. A lot of the books used in early year’s education are often large and abnormally shaped, meaning it’s hard for them to fit into standard book storage options. With this in mind, we have a selection of big book storage solutions that will fit larger books easily. The Classroom Big Book Holder is a basic option that is functional and budget-friendly. 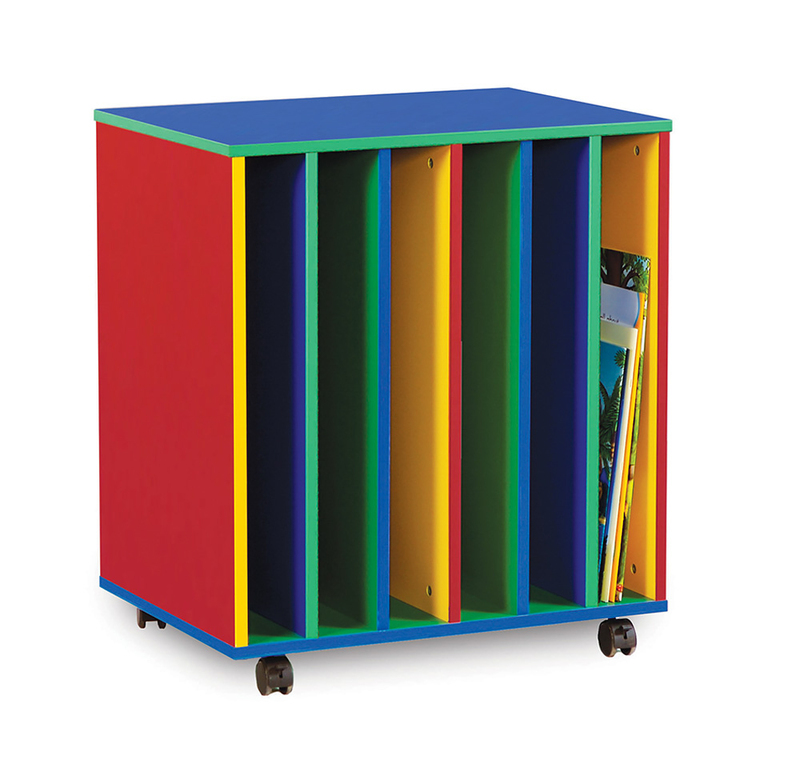 You can select either a beech finish or a multi-coloured finish depending on your classroom interior. Each of the six slots can store several books, making this ideal for storing lots of activity or reading books. What’s more, the unit is on castor wheels which means you can move it between rooms easily. If you’re looking for a slightly more unique solution, our Bubblegum Swivel Storage Tower is a good option. 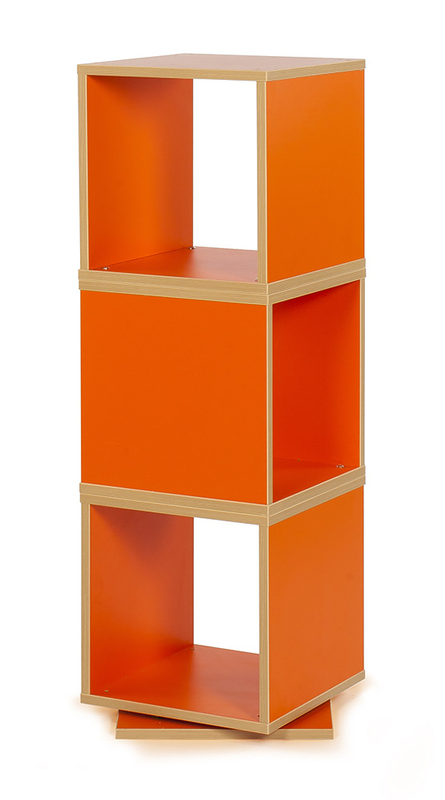 In a choice of four vibrant colours, this book tower swivels 360-degrees for ultimate versatility. Alternatively, the Bubblegum Book Tower is a creative solution on castor wheels for easy movability. You can select one of three bright colours for your ladder, allowing you to not only keep your classroom organised, but to inject a pop of colour too. All of our book storage solutions are covered by a five-year warranty and are specially designed for early year’s use. If none of the book storage options mentioned in this article are quite what you’re after, contact us or call our sales team on 01733 511121 to discuss your needs and the options we have available for you.